If you are interested in the most innovative and easy to use marketing platform à Whatagraph is really what you need. Whatagraph is a multi-source visual marketing platform that puts an end to the suffering caused by manually constructed reports. It does that by providing ready-made report templates. 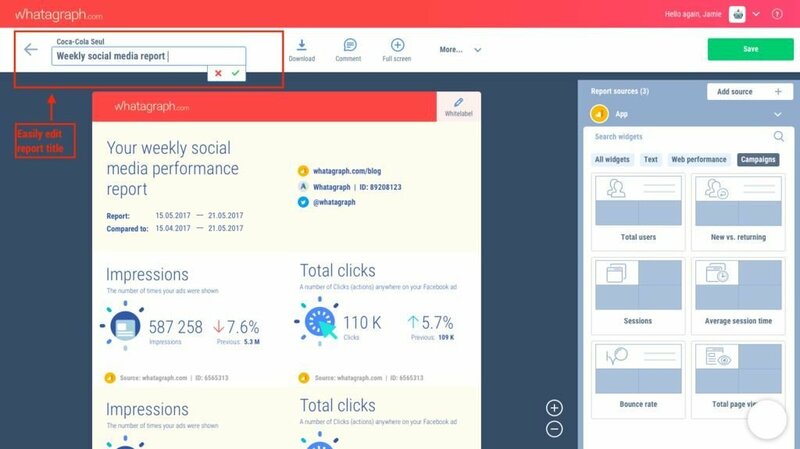 You can add your website analytics, PPC, SEO, social, call tracking, review and email marketing platforms to get your data gathered automatically for instant visual marketing reports. 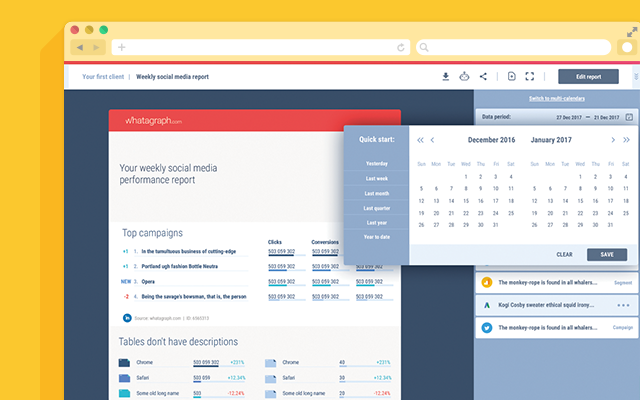 All of these tools can in turn help you track and understand the data behind your website, e-commerce site and digital campaigns performance. Not only does Whatagraph help you understand your data, but it also allows you to select several email recipients to send your reports to, so everyone is up-to-date with the latest data. Additionally, Whatagraph excels in social media reporting. It’s easy to connect social media channels such as Instagram, Twitter, LinkedIn, YouTube and Facebook. One of the essential features of Whatagraph is automated data visualization. All you need to do is to connect your data sources and build the report - Whatagraph will do the rest for you. Instantly! 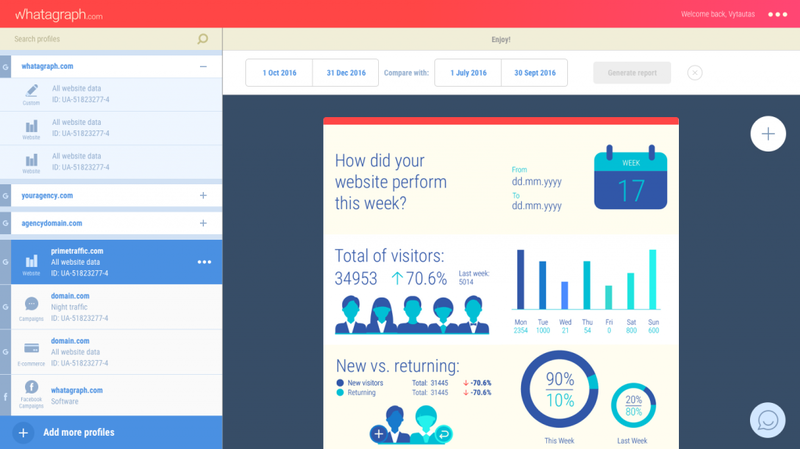 In order to deliver a fast report creation, Whatagraph created intuitive and simple interface, drag and drop, widget resize, custom editing and extensive widget library. Very easy to use! No need to be tech-savvy to understand it.